I am a historian of science interested in the use of paper tools, particularly diaries, as aids to memory and personal development. My PhD thesis, completed at University College London and the Royal Society, explored the life and diary of Charles Blagden (1748-1820), physician, natural philosopher, and secretary to the Royal Society between 1784 and 1797. I currently work as a research assistant on the ERC funded ‘Diseases of Modern Life: Nineteenth Century Perspectives’ project at the University of Oxford. As part of this project, I am exploring the use of nineteenth-century pre-printed diaries and almanacs as tools which helped individuals navigate information overload in their day-to-day lives. I have a passion for museums and public engagement, and worked as a student engager within UCL’s three museums, the Grant Museum of Zoology, UCL Art Museum, and the Petrie Museum of Egyptian Archaeology. As well as speaking to museum visitors, I also contributed to the project blog, where I explored some of the connections between my research, the public, and museums. I am currently working on a book project with colleagues in the STS department at University College London. We are creating a sourcebook that explores women’s involvement in knowledge production from around the world, designed to complement the teaching of undergraduate history of science courses. You can find out more about the project at Women in the History of Science: A Liberating the Curriculum Sourcebook. 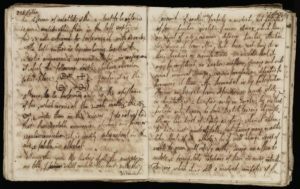 Although a potentially rich source of information about the workings of English science and the Royal Society under its longest serving president, Sir Joseph Banks, Charles Blagden’s difficult handwriting has meant that his diary has received relatively little attention from scholars. As part of my PhD, I transcribed sections from Blagden’s diary, opening it up for the use of other historians. In my thesis, I explored how Blagden carved out a career for himself as a gentleman of science in the late eighteenth century, using the patronage of eminent male scholars such as Joseph Banks and the chemist Henry Cavendish. I also examined the significant role of a network of elevated women in London, who supported Blagden’s scientific interests and served as his principal source of esteem and social standing in London. You can find out more about my PhD research on my academia.edu page. Information management on paper: Lectures on Chemistry taken down by Sir Charles Blagden [1748-1820]. Credit: Wellcome Library, London. Wellcome Images. Cover image: Lectures on chemistry. 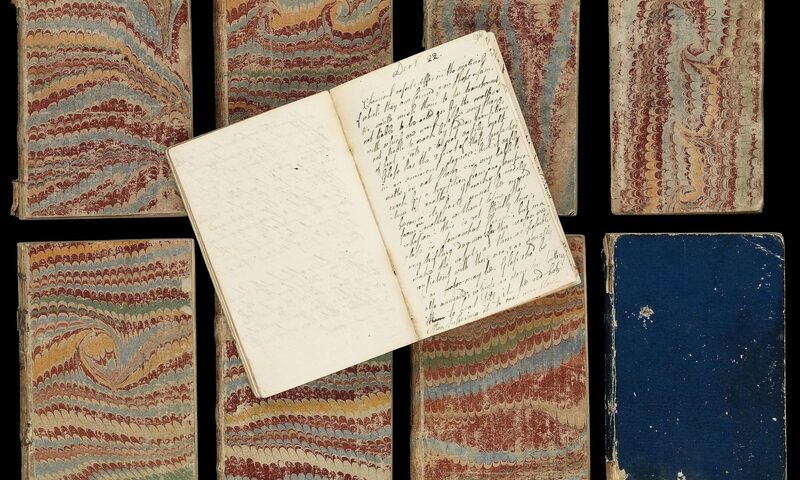 Holograph notes taken by Sir Charles Blagden [1748-1820], when a student at Edinburgh University. L0068238 Lectures on chemistry, Credit: Wellcome Library, London. Wellcome Images. I’ve spoken about my work deciphering Charles Blagden’s infamously difficult handwriting, as well as some of the exciting things about working with his diary, in this video, on the YouTube channel ‘Objectivity’.